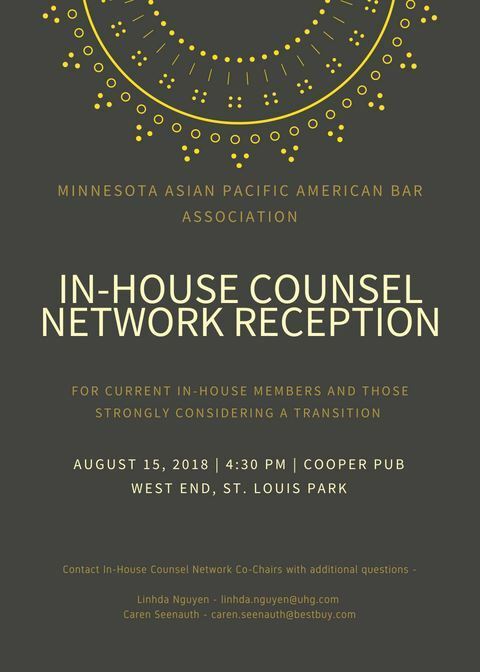 Please join MNAPABA's In-House Counsel Network at Cooper Pub in the West End on Wednesday, August 15, 2018 at 4:30 p.m. This members-only event is intended for MNAPABA's in-house members, and those seriously considering exploring in-house opportunities. MNAPABA Member In-house recruiters are invited to attend.